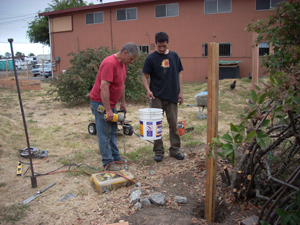 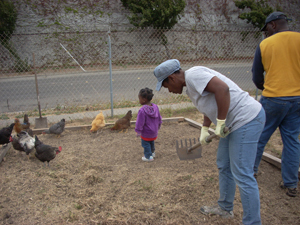 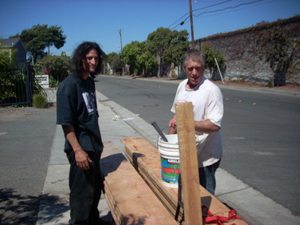 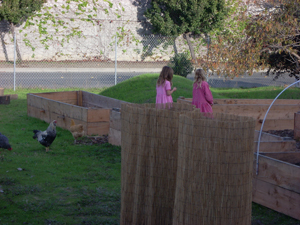 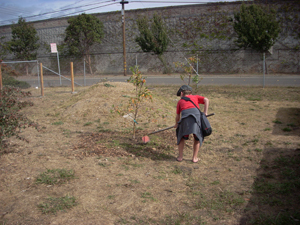 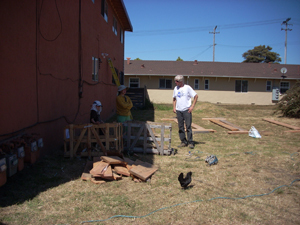 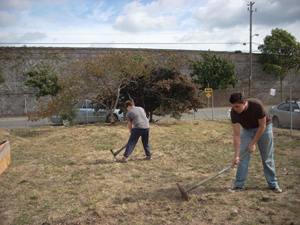 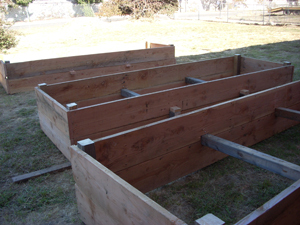 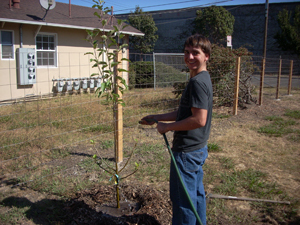 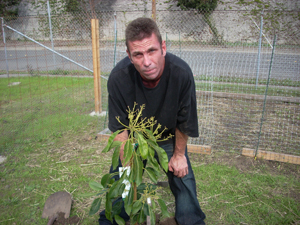 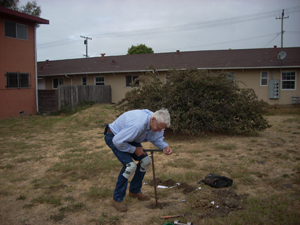 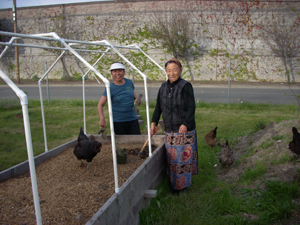 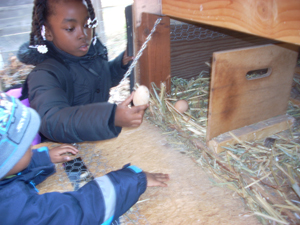 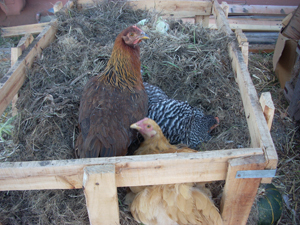 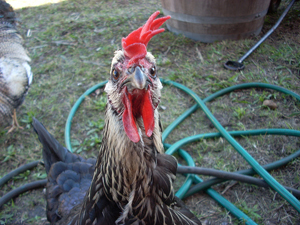 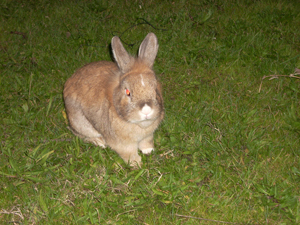 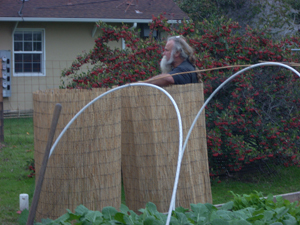 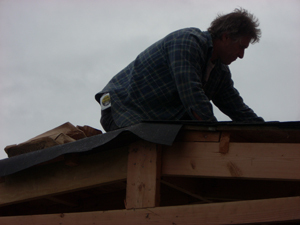 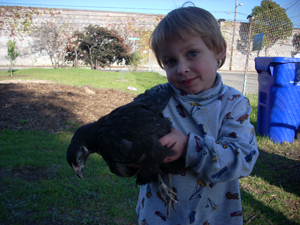 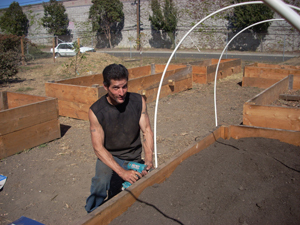 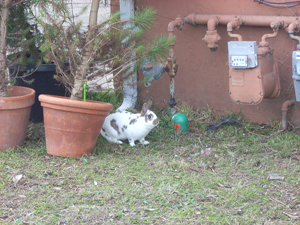 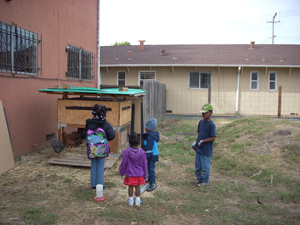 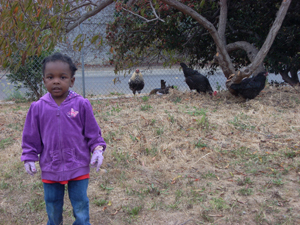 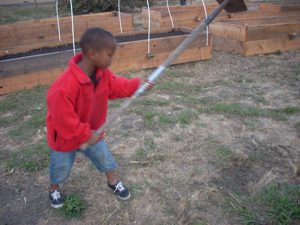 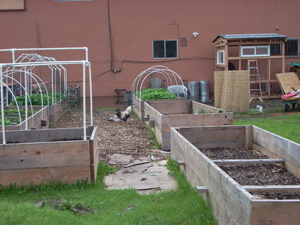 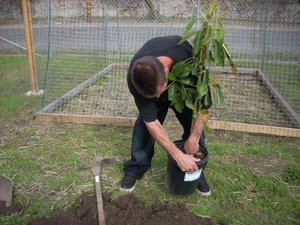 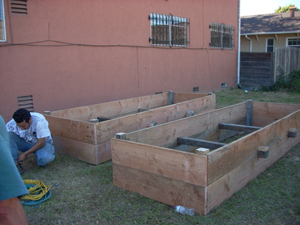 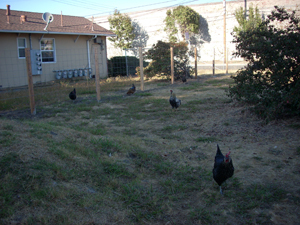 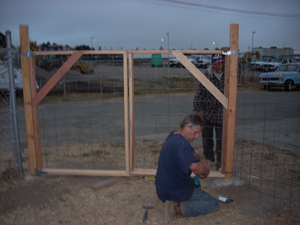 Our City Farm began in September 2010, with the donation of the use of the property by Richmond, CA native and entrepreneur, Kevin L. Hampton, and with the assistance and support of the adjoining property owner, Richard Grodecki. 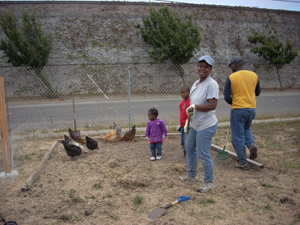 With local residents coming together for the first time, along with business owners, we all begin to build raised beds, erect a fence, build a beautiful gate, begin planting fruit trees and the raised beds, as well as moving chickens onto the site, and the project begins. 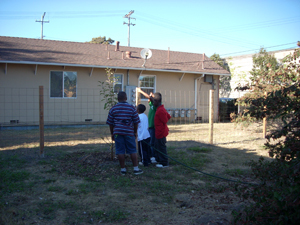 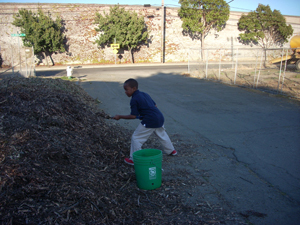 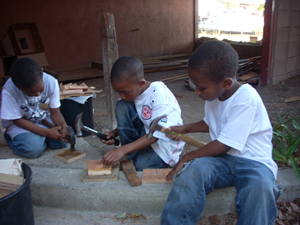 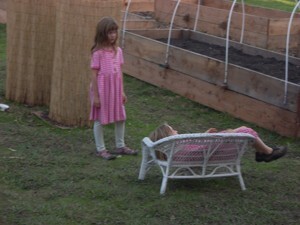 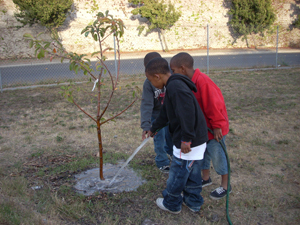 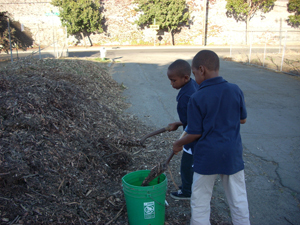 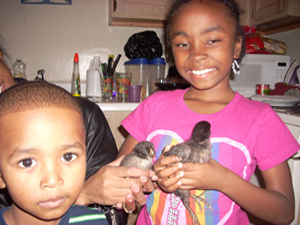 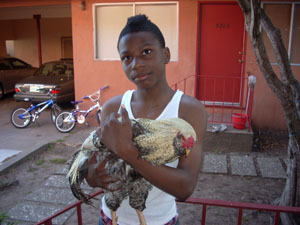 Neighborhood children began to come around as well to learn about and participate in this process. 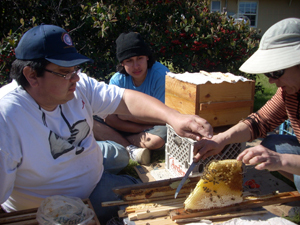 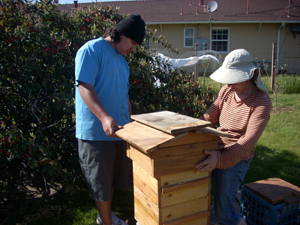 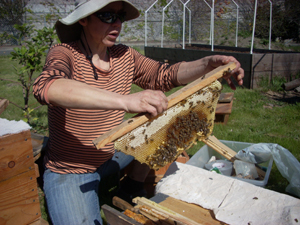 In November, El Cerrito resident Simone Dippone gives a workshop on beehive building, the beehive being built to be placed on the city farm. 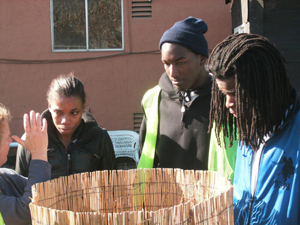 The project is a demonstration site that is highly visible and accessible in a largely populated community to serve as an educational and visual example, and to help facilitate the same for others in their own neighborhoods by the provision of materials, know-how and support. 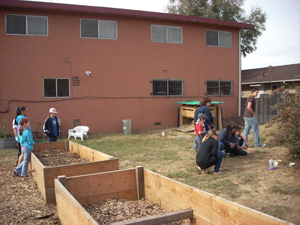 Because this is being created by and for local neighbors, community-building with a common, interesting goal helps to facilitate a wide number of positive changes such as food production, reduction in crime, social inclusion, greening and more.